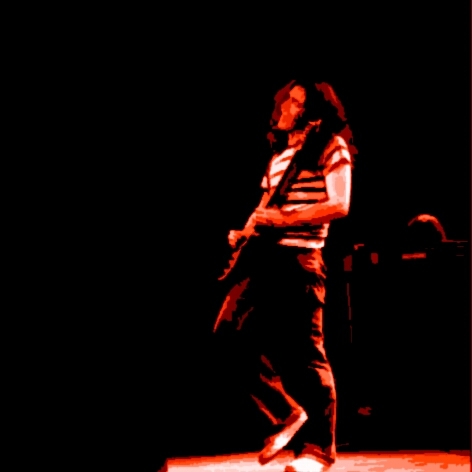 Anyone who has seen Rory Gallagher in person can testify that he is an extraordinary guitarist and performer. Unfortunately, he has the same problem that plagues more than a few other performers who are exceptional in concert; that is, his records do not relay his talent as well as his performances do. Part of the problem, at least with Gallagher, is that he is not as good a producer as he is a guitarist. Since Gallagher quit Taste, he has been responsible for most of the material and sound found on his albums. Since Gallagher employs many styles and his guitar work is somewhat more complex than that found on most rock 'n' roll albums, his playing is more susceptible to limp production, which can conceal critical notes and even muddle entire riffs. The result is too often a muddy, washed-out version of what was originally played. Gallagher has been improving, though. TATTOO, his latest studio job, was measurably cleaner in sound than BLUEPRINT, which was better than, DEUCE. etc. etc. With each successive album, Gallagher's guitar playing has become more distinctive. And the other members of his band have become easier to detect. Between Gallagher's improvement as a producer and the fact that IRISH TOUR 74 was drawn from concerts in Gallagher's homeland, this album is the best thing he has yet put out. It will most likely bring Gallagher the recognition that has so far eluded him. As usual, the majority of the songs contained on IRISH TOUR 74 were written by Gallagher. In addition to a Tony Joe White song, "As the Crow Flies" there are four tunes taken from TATTOO. The most notable of these are "Cradle Rock" and "A Million Miles Away." Not that the others are lackluster, but simply that those two exemplify how much better Gallagher sounds in concert. All of the other tunes are new compositions. Of them, "Too Much Alcohol" is my favorite. It is a little more in the direction of traditional blues than the rest. All of the songs, however, are in the blues vein, but they have just enough rock flavor. Gallagher's guitar playing shows a potpourri of styles from traditional, rural slide to more contemporary British screams. The mixture is tasty and satisfyingly interesting. Gallagher's voice is not quite the equal of his picking, but it is strong enough not to distract from the music. In most cases, it even adds. Especially interesting is the album's fourth side, which features several jams pieced together to create a collage of boogie and blues themes. In one of them, Gallagher follows several of his guitar licks with his voice and thus makes for some of the most interesting interplay since Plant and Page got together.